Uveal Melanoma (UM) is a rare intraocular disease and while the primary tumour can often be treated effectively, there is currently no effective treatment for its metastases. 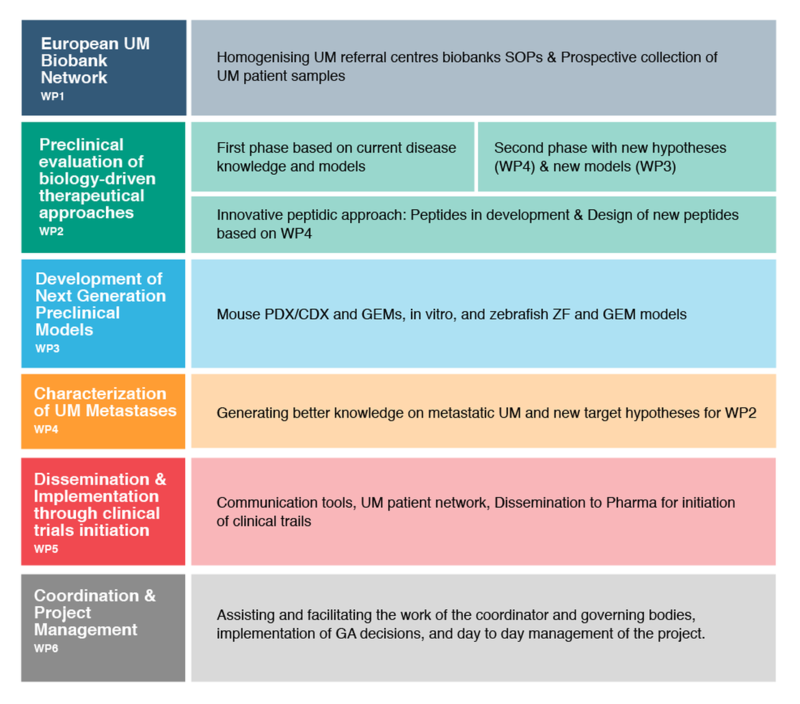 The overall goal of the UM Cure 2020 consortium is to combine the efforts of several European Centres of Excellence in clinical ocular oncology and basic research with patient organisations to develop new therapeutic approaches to treat metastatic UM, and share this new knowledge efficiently. Ensure widespread dissemination and maximal exploitation of our results, in particular through the initiation of UM-dedicated clinical trials sponsored by academia or pharma. 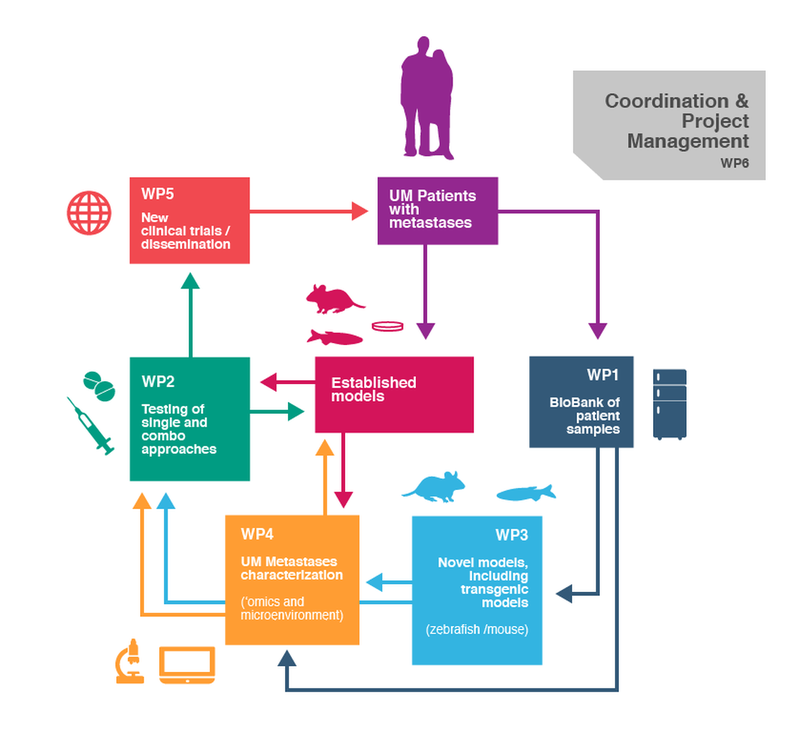 Additionally, we aim at increasing patient information and involvement through a dedicated UM patient and UM caregivers portal associated with the project website, as well as European-wide initiatives for UM patients to meet, network and get involved (WP5).